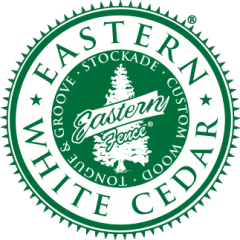 These photos feature a terrific example of the powerful choices available within the Grand Illusions Color Spectrum. 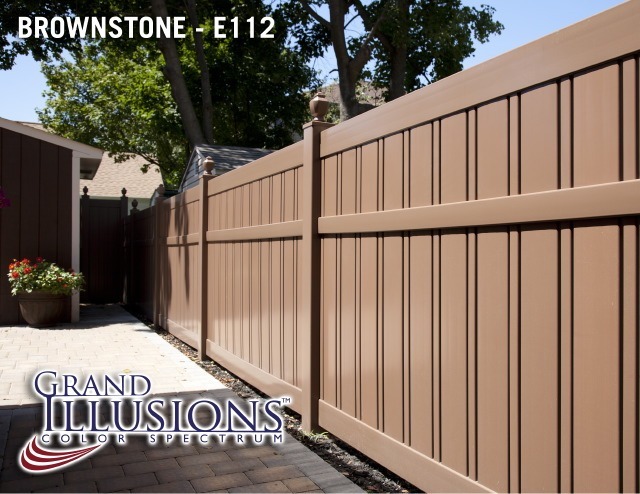 By using the Illusions Vinyl Fence Mix ‘n’ Match system, the contractor was able to match the fences to the color of the houses and trim. 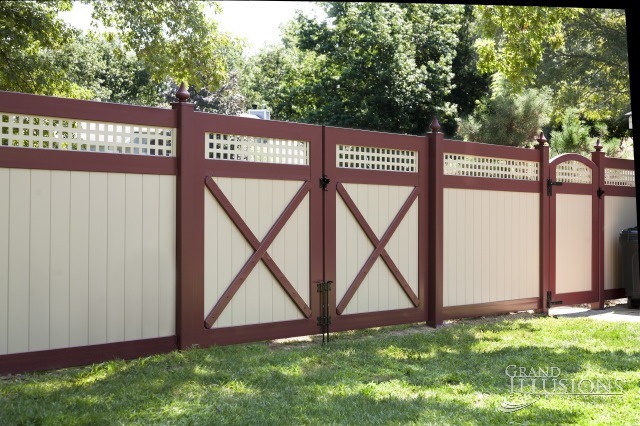 The first style features V3215SQ-6 with Desert Sand (E123) T&G Boards and Square Lattice and Burgundy (E110) Rails and Posts. 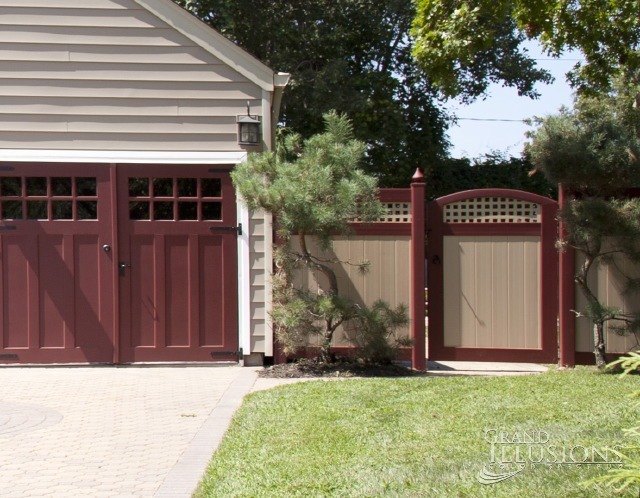 It’s a terrific match to the garage doors and siding. 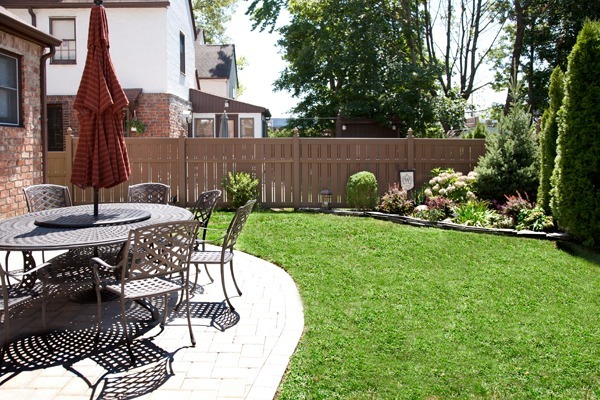 According to the contractor, the homeowner said “it’s the most beautiful thing I’ve ever seen.” Sounds like a lofty quote, but it’s true. 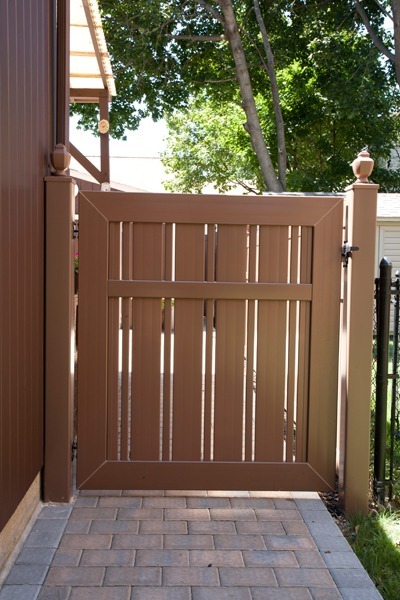 This install also features a matching VBG4 accent gate and IESH Extra Strong SS Hinges. Seeing this install in photos is great, but live it’s absolutely stunning. 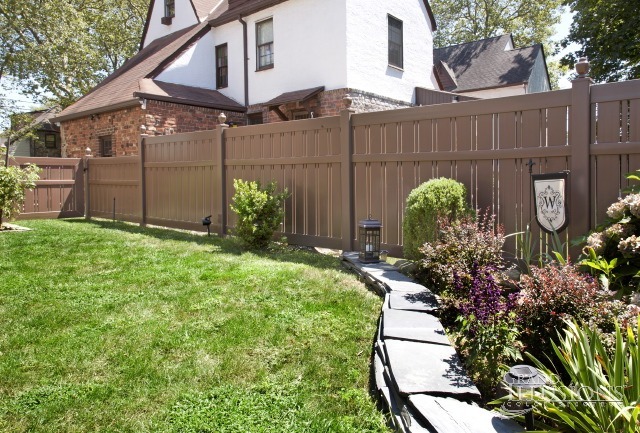 The other install is a Semi-Privacy V500A-6 in Brownstone (E112) with Coachman (V55CM) caps. 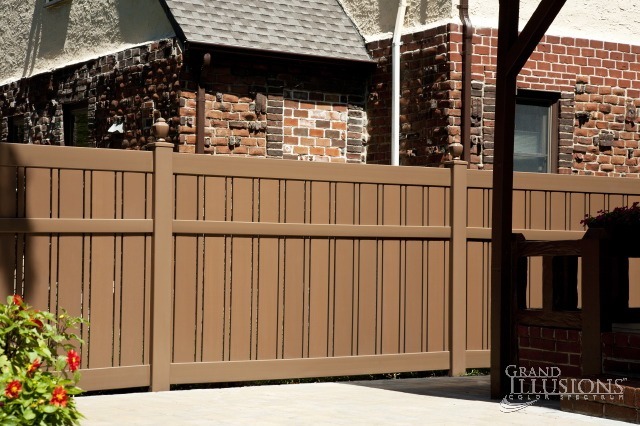 It is a terrific match to the reddish brown highlights on the customer’s tudor styled home. 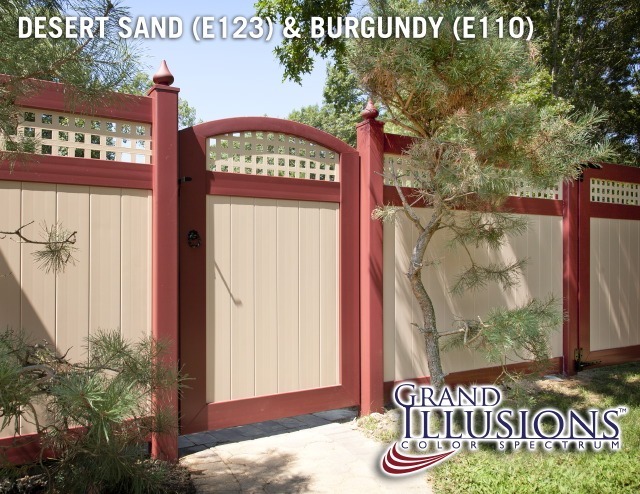 The Grand Illusions Designer Series is also available to custom match your fence to any pre-existing color. All you need is a swatch.